For all its ups and downs, 2018 saw a lot of interesting retail trends. 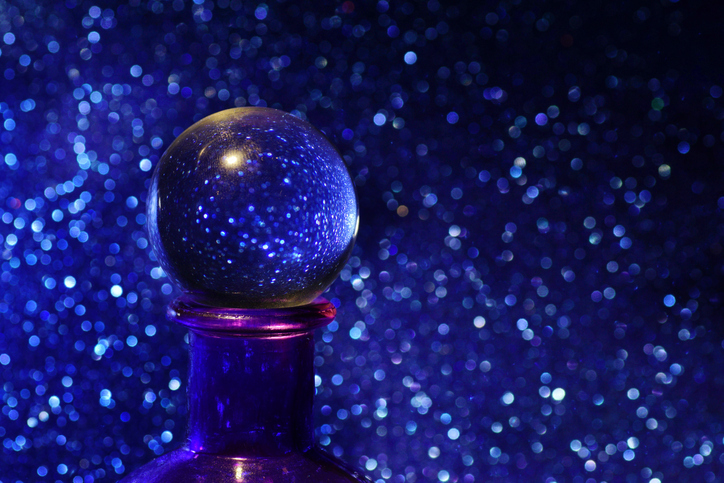 But now that the bubbly has stopped flowing and the sparklers have fizzled out, we’re taking out our crystal ball to look into 2019 retail trends. Living in the nucleus of retail paradise here in NYC, we’re fortunate to experience some of the best of the newest retail innovations. But what about when you leave the Big Apple? For the majority of the country, freestanding stores and malls have been static for years. In 2019 and beyond, that is going to change. Retailers will start taking the essence of their creative pop-ups and bring them to their permanent stores nationwide. This is especially important at a time when information is shared so quickly and comprehensively online and in social media. If someone in St. Louis sees on Instagram that their favorite department store had an exciting, groundbreaking pop-up in New York, they’ll be disappointed when they go shopping and see that the same store in their city hasn’t changed a bit. Ideating a creative pop-up concept is just the start. Retailers are taking lessons learned from their pop-ups and applying them to brick-and-mortar locations. At the nexus of creative and cost-efficient, pop-ups are a fantastic way to thrill your target audience and bring proven new ideas into your stores. The lines and rules in retail are getting incredibly blurry. E-commerce isn’t just online, stores aren’t full of inventory and pop-ups aren’t temporary. Flex retail, a new wave of store design, started to crop up in the past few months, and we expect to see the trend explode in the new year. The basic idea is that retail should not be one-size-fits-all – and it should be agile. Stores should change their merchandise and look and feel every quarter. And even more so, a store in Toledo, Ohio should not look or feel the same as a store in San Francisco, California – the weather, interests, culture, needs and preferences of the regions are vastly different, and should be treated as such, and done at scale. Where in the past retailers have strayed from location-based store concepts due to costs, Timberland is showing everyone that this model can truly be done at scale. With an emphasis on flexibility, these temporary stores are in a specific location when a given audience needs them – like winter for NYC. They’re easy to set up (3–6 days total as opposed to months) and modular in design, meaning they’re simple to take down and move to a new location when the time comes. This trend marks a greater shift in retail as a whole: in order to succeed, brands need to be agile and flexible in their business models. Think of the last time you were waiting in a store for something. Sitting (probably impatiently) while your significant other tries on new shoes. Twiddling your thumbs while you wait for your computer to get fixed. All of these experiences have been vastly untapped retail opportunities – until now. In 2019, we expect retailers will start optimizing the waiting experience by creating dedicated spaces with fun or compelling amenities. Picture a combination café/planning section in Home Depot for people to outline their projects, or a juice bar next to Apple’s Genius Bar. Presenting these sections creates an elevated experience while also encouraging consumers to slow down and peruse. Already in 2018 we were introduced to Capital One Cafés and AT&T Lounges. These concept stores are essentially hangout places for consumers to enjoy coffee, pastries and conversation about products. But they’re more than just waiting spots – they’re destinations in and of themselves. Barnes & Noble has been doing this for years with their Starbucks partnership. What better way to celebrate a new book purchase than by cracking it open immediately over a cup of fresh coffee? Time is the consumer’s greatest luxury. It’s time to treat it as such more effectively. There has always been a big difference between e-commerce and brick-and-mortar. With e-commerce, you place your order and wait 2–7 days (at least) to receive your purchase. With brick-and-mortar, you get your item right then and there. Now, more and more “showrooms” are popping up with limited to no inventory. These no-merchandise stores merge e-commerce with the physical, creating spaces for consumers to try out items and then place their order either in store or online from their homes. Smaller stores with no inventory aren’t completely out of left field. With the rise of Amazon and e-tailers, it’s clear: people are fine with waiting for their products, especially if it’s only a couple of days. And saving precious space by minimizing (or totally eliminating) inventory, showrooms enable retailers to focus on the consumer experience and a more intimate brand of customer service. Take a look at Bonobos. The men’s apparel retailer began in e-commerce until it launched Guideshops in 2012. While this idea clearly isn’t totally novel (Nordstrom and Nike are following suit), we expect to see it taking off even more in 2019. Few retailers wowed us as much as Brandless in 2018. The e-tailer took note of the growing trend of distrust in big names and built a brand around doing the opposite. In essence, Brandless is an anti-brand: With no logos, no permanent stores and a slew of disruptive ideologies, the retailer isn’t about retail – it’s about the customer. This idea is so disruptive that we expect to see similar brands pop up in the coming year, as well as renditions from the big guys. Target attempted to make a play at the same idea with the launch of their new private label, Smartly. But a heavily rooted brand like Target is trying to play both sides of the coin. More likely, we expect to see smaller microbrands respond in full force. Overall, 2019 will be a year of flexible, strategic retail disruption, and we’re excited to watch it all play out. At Medallion Retail, you’ll find a retail agency at the cutting edge of what’s new and bold in pop-ups and displays that push the industry’s retail trends forward. To get your 2019 off to a great start filled with fresh ideas, reach out to Michael Decker or Chris Gordon today at [email protected].